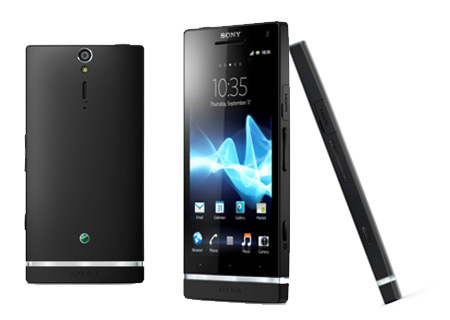 Sony Xperia Z is among the best Android smartphones today and is undoubtedly the best from Sony till date. It is loaded with great and exiting new features and its Anti dust and water resistant features are best in the market. 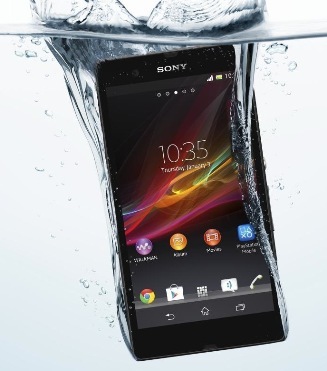 Xperia Z is a fully loaded Smartphone with rich features, great camera and solid battery life. The screen size and display are impressive too. There is nothing missing on the device. However, the battery life can be a personal reason to avoid. 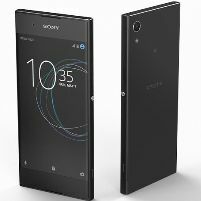 Xperia Z is a brilliant phone with all required software and hardware advancements and is worth for this price range smartphones and is good buy. 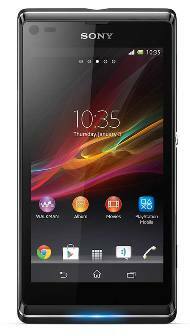 Sony Xperia Z is worth the wait for Sony lovers and truly is a premium smartphone with its impressive specs and hardware. When in hand, the first thing attracts you is its HD reality display on its big 5 inches screen. The reality display with Mobile Bravia engine gives massive pixels density and brilliant contrast. 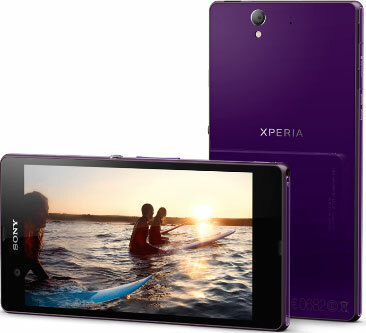 Xperia Z comes in Black, white and purple colours. The dimensions of this phone are 139mm, 71mm and 7.9mm in height, width and depth. The weight of this power packed phone is just 146 gm. Its slim design and curvy edges makes this an eye candy phone. The display type of this phone TFT capacitive touchscreen with 16 M colours and 1080 x 1920 pixels screen resolution. It’s multitouch with up to 10 fingers. For its screen protection it comes with a scratch resistance glass with shatter proof sheet on mineral glass. The built of this phone is strong and is a good hand held too. On its right depth are two physical keys, a power/lock key on middle side with volume keys below it and a SIM slot above the power key and a loudspeaker towards the bottom. The left depth is given to USB/charging and HDMI port under a rubber flap. The 3.5 mm earjack is placed on the top whereas the bottom is left with mouthpiece only. Above the screen is a 2.2 megapixels camera with proximity and ambient light sensors. The keys for Menu, Home, Back and search are included in the screen area. The back panel offers a strong 13.1 megapixels camera, LED flash and speaker grill. The overall design of Sony Xperia Z is great and its body is hard and strong too. The only drawback is its non removable battery. The Sony Xperia Z runs on latest Android 4.1 Jelly Bean operating system and is upgradeable to 4.2 Jelly Bean. The interface is same as of other Xperia smartphones, its fast, smooth and can be personalized to your choice. For your never ending experience Xperia Z comes with a 1.5 GHz Qualcomm MSM9215M Snapdragon Quad Core processor and massive 2 GB RAM. The browsing experience while testing the unit was a real fun and hassle free experience. One can easily download/purchase music, applications, games, etc. from the android market at very fast speed. 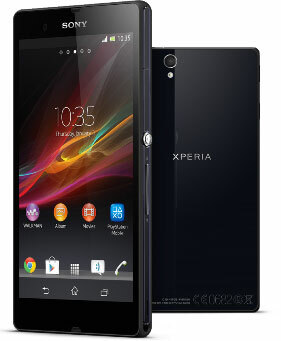 Xperia Z comes inbuilt with good 16 GB internal phone storage and 2 GB RAM. Further to this one can add up to 64 GB of memory using microSD card space. Above all the cloud space is also offered with it. The Xperia Z comes with a 13 megapixels Exmor RS main camera with auto focus, LED flash and Burst mode. It captures maximum image to 4128 x 3096 pixels and it has 16x digital zoom. Xperia Z also has Sony’s Exmor RS for mobile CMOS sensor. The camera features Geotagging, touch focus, face and smile detection, 3D sweep panorama and image stabilization. It captures HD video recording with 1080 pixels at 30 frames per second with continuous auto focus, video light and video stabilizer. While testing camera showed great results on outdoor shoots comparing to indoor. The colours were rich and were coming out great on HD display. There is a front facing 2 megapixels camera for video calling, which gives HD video resolution of 1080 pixels at 30 frames per second. The front camera work is fine and gives better image quality. The audio quality of Xperia Z is sharp and clear. 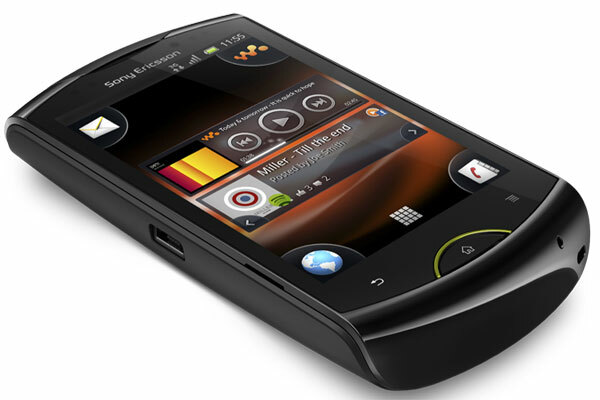 It comes with xLOUD technology of Sony that filters audio and enhances sound quality. Track ID for music recognition is also embedded in it. The sound gets better with its headphone and you get every beat crystal clear. It has in-built FM Radio with RDS technology that can be enjoyed with headphone on. 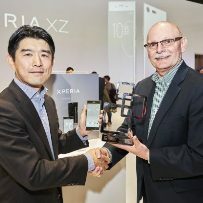 The music player is same as of other Xperia series and is multifunctional. The audio playback, supported formats are: MP3, 3GPP, MP4, SMF, WAV, OTA and Ogg vorbis, whereas the audio recording supported formats are 3GPP, MP4 and AMR. The video quality of Xperia Z is brilliant as it is full HD phone and the 12.1 megapixels camera captures HD video recording with 1080 pixels at 30 frames per second with continuous auto focus, video light and video stabilizer. The video playback supported formats are: 3GPP, MP4, Matroska, AVI and WebM, whereas the video recording supported formats are 3GPP and MP4. 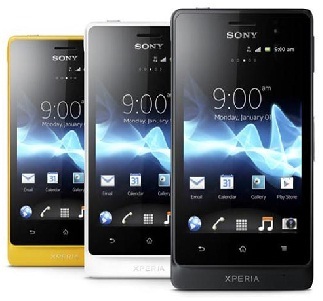 Sony Xperia Z is a fully loaded smartphone with all latest and popular features embedded in it. 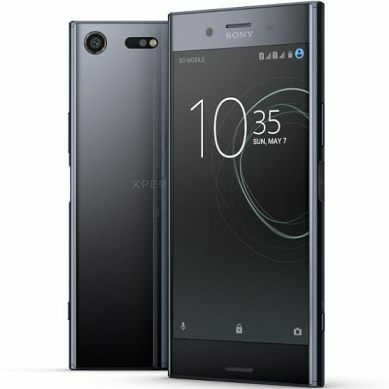 For connectivity and communication it comes with ‘one touch functions from Sony, which includes – one touch mirroring, one touch backup, one touch listening and one touch sharing. It gives high speed 2.0 USB and micro USB support, Wi-Fi and Wi-Fi hotspot functionality, HDMI connectivity, DNLA technology to pair the device with supporting PC or Laptop. It has GPS with aGPS support and GLONASS. Webkit Web browser is also there. Bluetooth technology, native USB tethering, ANT + technology and on top of all it gives you NFC tags. Social networking Sites are also integrated for your latest posts and updates. For games lovers it has PlayStation certification, to give you experience like never before. The pre loaded applications in the phone are Google voice search, Google talk application, Google mail and Google maps with street view and latitude. For entertainment it gives you TV launcher, Sony Entertainment Network a complete package for Films, Music, audio, video, etc. but, Sony Entertainment Network with Video Unlimited and Music Unlimited are not available in every market. The powerhouse Xperia Z comes with a non-removable Li-ion 2330 mAh battery. The battery is well supported for this phone and lasts long with average daily use. Its stand-by time is up to 550 hours and talk time is up to 11 hours. The music playback time is up to 40 hours. 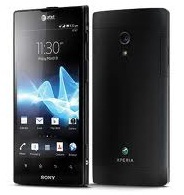 Sony Xperia Z is an amazing phone with brilliant features and good design. It’s loaded with latest features and applications, power packed with 2 GB RAM and 1.5 GHz Quad Core processor. The battery life is good, display is wonderful and the 13 megapixels Exmor RS main camera is outstanding and the 2 megapixels front camera has better picture quality. 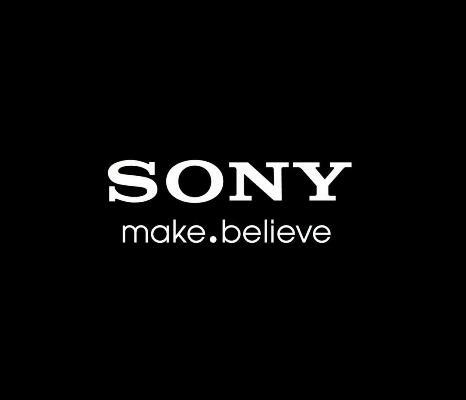 Sony’s anti dust and water resistant features are an asset to the device. We give this phone four and half star rating.